This Mytee Speedster® is a great dual mode extractor at a fantastic price. If you're looking for a tile & carpet cleaning machine, this could be just the one for you. The adjustable pump allows you to clean carpet and upholstery at low pressure (~50 PSI) or blast tile at high pressure (~1200 PSI) with the same machine. With its powerful dual 3-stage vacuum motors, this machine offers unmatched recovery to give you cleaner and drier floors and carpets in less time than competing units. 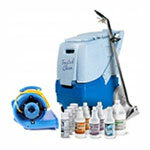 Mytee offers a full selection of tile cleaning tools that are compatible with this LTD12 unit. These include the 8903 drag wand style spinner tool, the 8904 t-handle spinner tool, and the 8908 handheld spinner tool. These tools use high speed jets on the end of spinner to essentially use the power of a pressure washer to blast dirt and grime from hard floor surfaces. We also offer a full line of Mytee carpet cleaning tools for this machine. For other dual purpose cleaning machine, please feel free to take a look at all of our tile & carpet machines. We carry all the major brands for you to choose from. 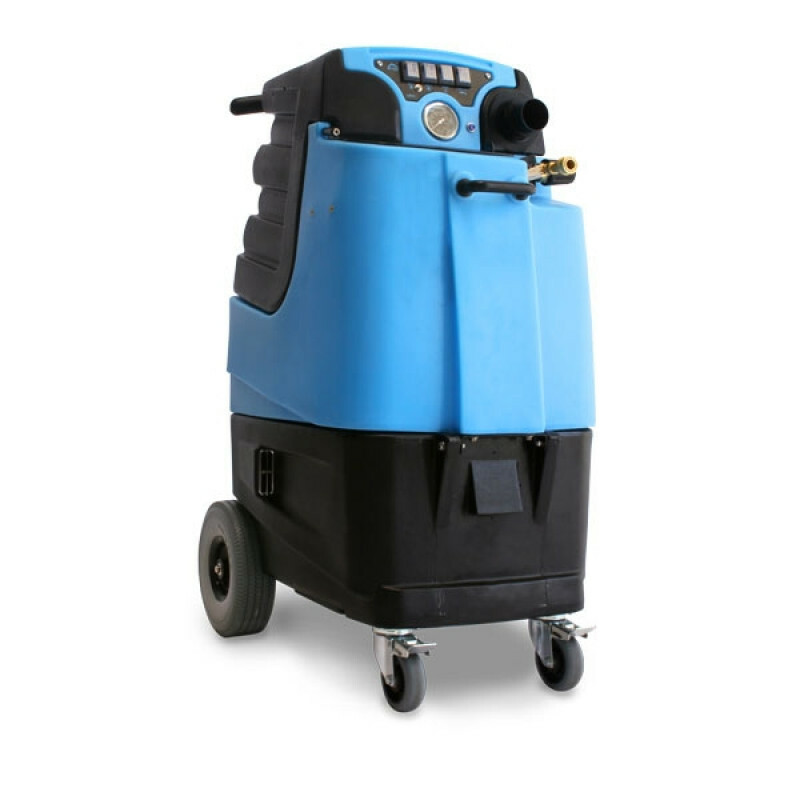 This unit can be used as a low or high pressure cleaning on both carpet & tile. It comes ready to tackle the toughest jobs with its dual 3-stage vacuum motors for maximum suction and recovery. Includes an auto-fill for the solution tank and an auto pump-out for the recovery tank, which allows for continuous cleaning. Waterproof switches for added protection against dust and water intrusion. Roto-molded polyethylene tanks will last for years. 10" foam-filled, semi-pneumatic wheels and 4" locking casters for safe and easy transport. Locking casters that provide stabilization and prevent any unwanted movement. Other nifty features: dual external vacuum ports, waist-high switch plate and regulator, waist-high prime valve with an industry-first recovery tank rinse hose, a solution tank drain, and auto-chemical metering kit.